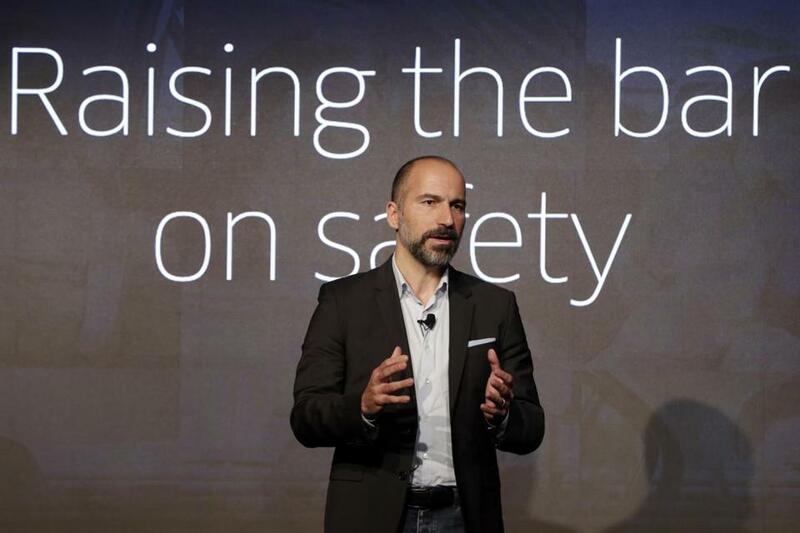 Uber CEO Dara Khosrowshahi speaking Wednesday during the company&apos;s unveiling of new features in New York. Uber is aiming to boost driver and passenger safety in an effort to rebuild trust in the brand. Khosrowshahi has made safety one of his top priorities since taking over as CEO a year ago. In April, Uber started doing annual criminal background checks on US drivers and hired a company to constantly monitor criminal arrests. The moves are an attempt to repair Uber’s reputation after a wave of major scandals and bad press. About two weeks after Khosrowshahi started, London’s transport regulator decided to strip Uber of its license to operate, saying that the company may be endangering public safety and security. Khosrowshahi apologized, flew to London to meet with officials and promised to change. A court eventually gave Uber a license, although much shorter than normal so it can be evaluated.